Looking for a rental? 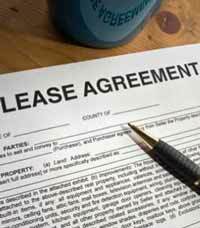 Keep in mind that when calling a landlord you may be talking to the owner of a property management company. The company has an obligation to the client (the owner of the rental property), to provide a tenant who will be responsible to pay rent in a timely way and to someone who will care for the property as if it were their own. Most property management companies have an application process that will include a credit check and calling previous rental references and/or other references provided on the application. In addition to good credit, a property management company will want to know that you have a steady income and that you have job security. Your household income must be sufficient enough to provide a level of confidence that the rent will be paid each month. Finding an apartment to rent with pets is always difficult. It is just not possible to have them in multifamily buildings, but occasionally we do have owners who will allow a dog or cat in the individual houses that we have for rent. If you are renting for the first time, know that this is your opportunity to build a reputation as a good tenant. Pay the rent and take good care of the property. Be considerate of your neighbors when playing music or the television. When it is time to vacate, provide the appropriate 30-day notice and leave the unit clean with all items removed and no trash left behind. Security deposits need to be returned no later than 30 days after vacating. Disbursement can be held up if there is damage to the apartment and the landlord is waiting for final bills for any necessary repairs (another good reason to leave the unit in good condition). Be sure the Management Company has your forwarding address when you return the keys. This entry was posted in Rentals and tagged credit report rental, rental property by Shirley Despres.Bookmark the permalink.